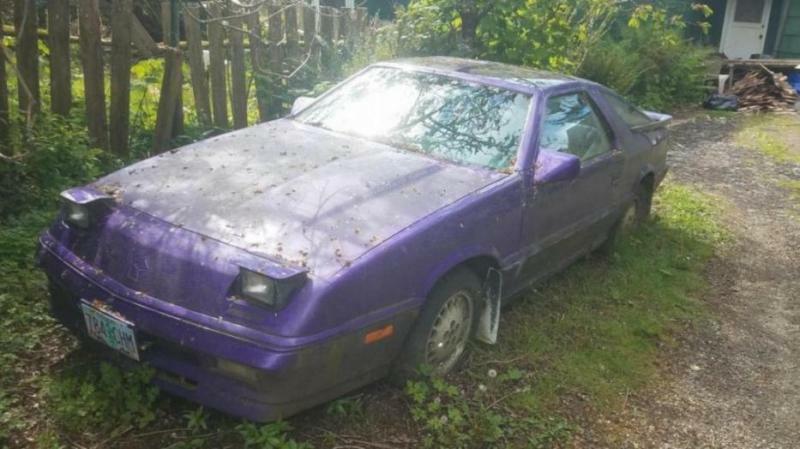 1987 Daytona Shelby Z Project - Turbo Dodge Forums : Turbo Dodge Forum for Turbo Mopars, Shelbys, Dodge Daytona, Dodge SRT-4, Chrysler PT Cruiser, Omni and more! 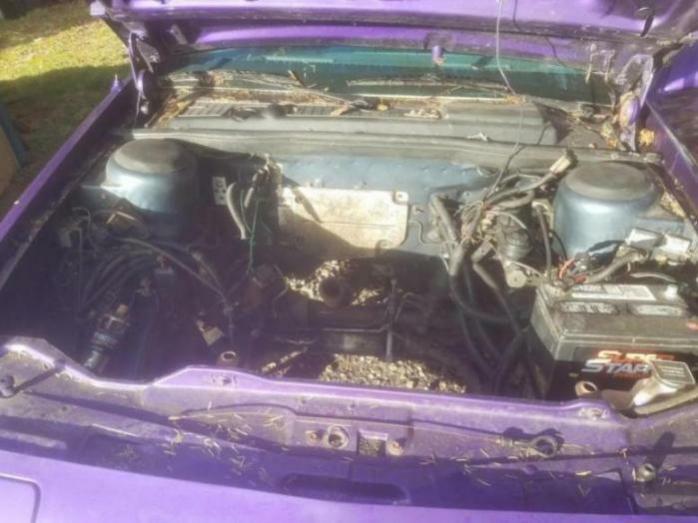 Back in june one day, when driving home from work I spotted a purple car half-buried in the bushes. Curious, I stopped to take a look. 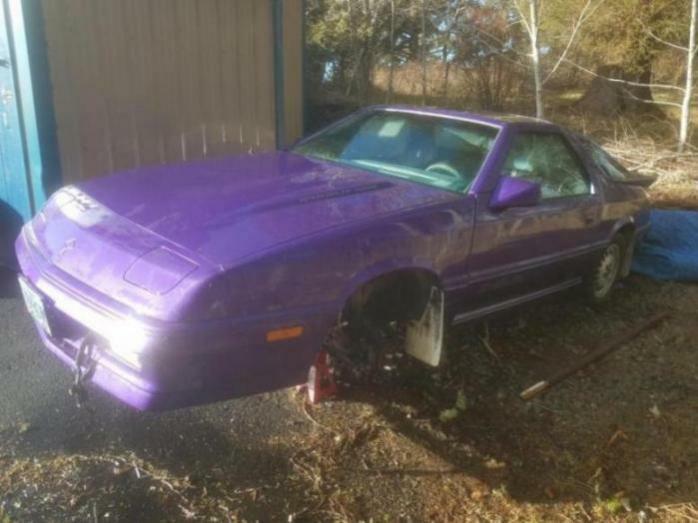 What I found was a 1987 Daytona Shelby Z with t-tops and a faded purple paint job. 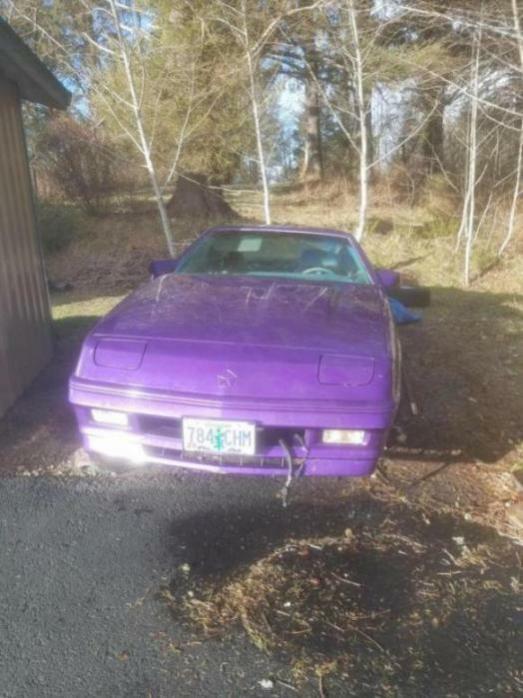 It just killed me to see this interesting car rotting away in someones driveway so I decided that if they would sell, I would buy. After all, I had been looking for another car project to keep me busy. Long story short, I walked away with a $300 daytona that hadn't moved or ran under it's own power in at least 10 years. 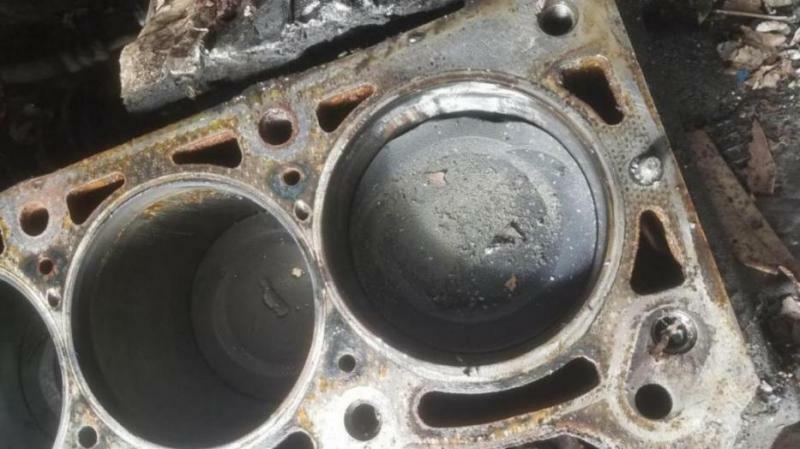 The previous owner had damaged the engine "driving home" and it had the valve cover and oil pan off for the duration of it's rest. 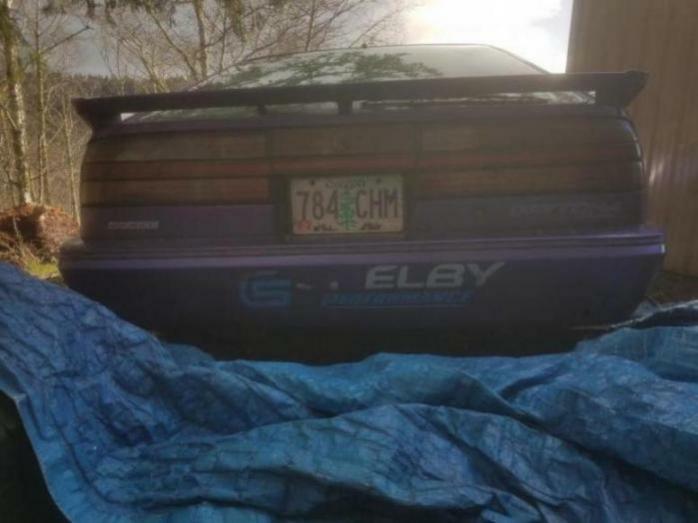 Something I noticed almost immediately after buying it is a small sticker on the drivers side door that reads "modified by cars and concepts on 4/87." 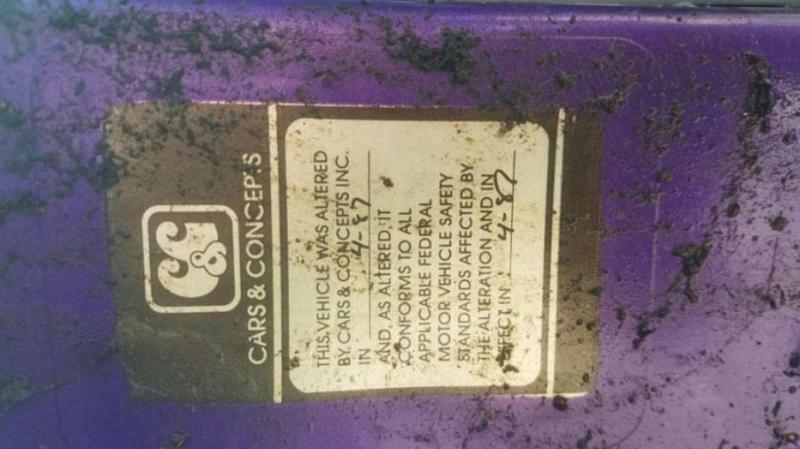 Does anyone know about this sticker, what it means and what they may have done to the car? I can't find any info online. Was it the t-tops or could it have been the purple paint job and what I assume may have been a long-gone aftermarket stereo? The interior is really rough as the car sat ~1000 feet from the ocean here in rainy Oregon but the body is in really good shape. 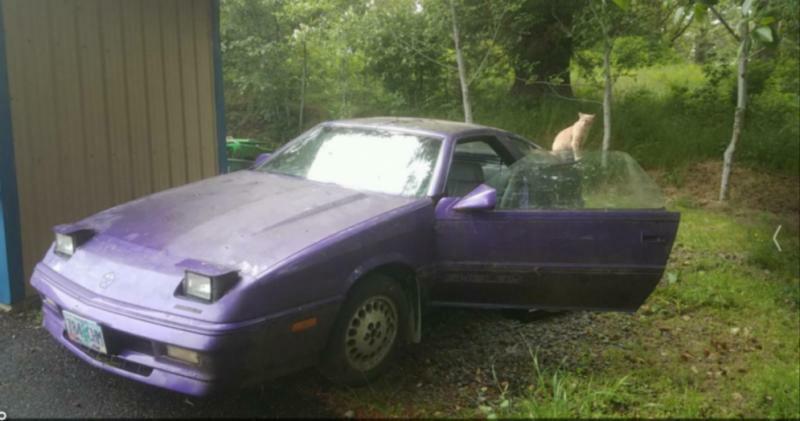 No rust that I can find, no dents or dings, just peeling purple paint. 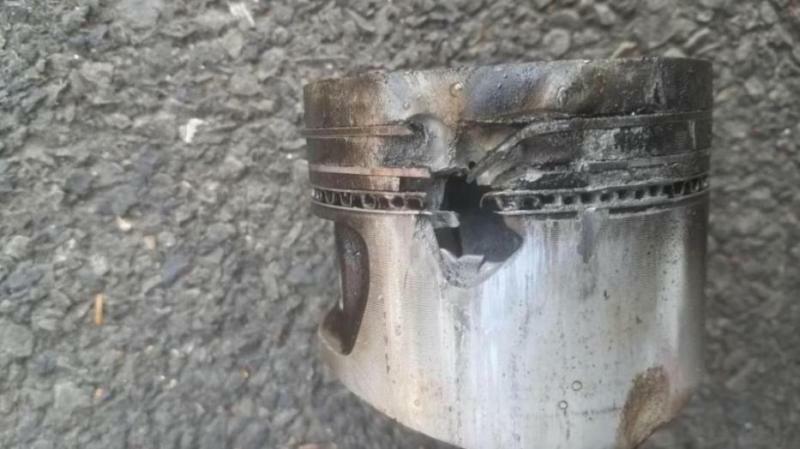 I immediately began to dig into the engine and found a burned piston and spun bearings all along the crank. This motor got hot. 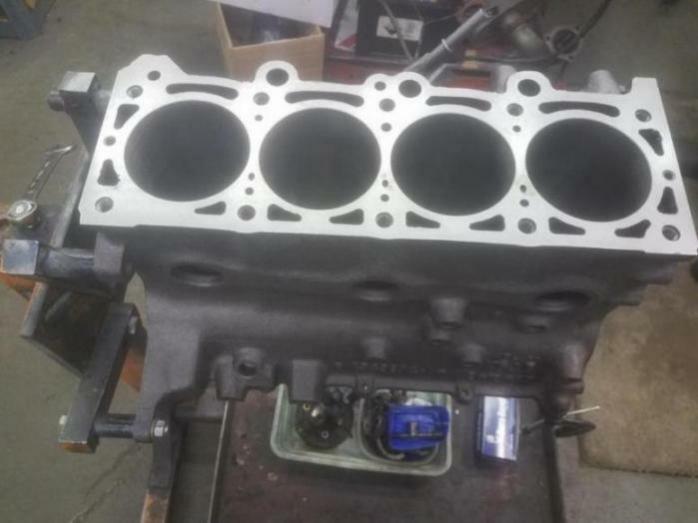 Over the past 6 months my machinist and I have rebuilt the bottom end. 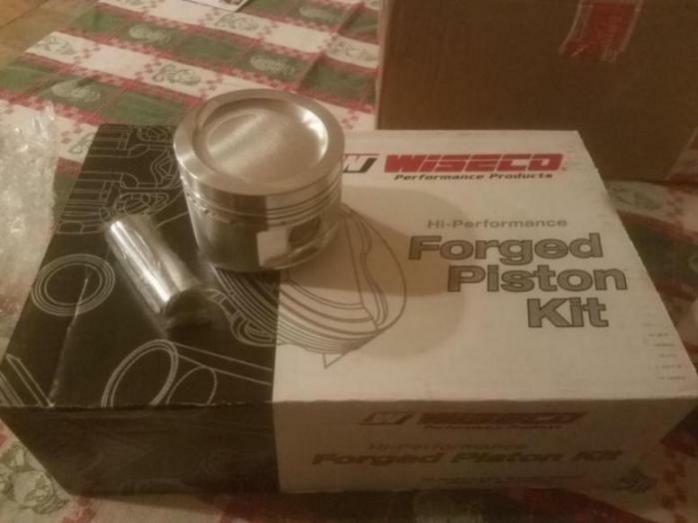 .020" oversized Wiseco Pistons from Turbos Unleashed, stock turbo ii rods, refinished crank, and arp rod studs. I've got a new melling oil pump and high flow pickup waiting to be installed. It also appears the p/o put some bolt-on aftermarket parts onto the car. 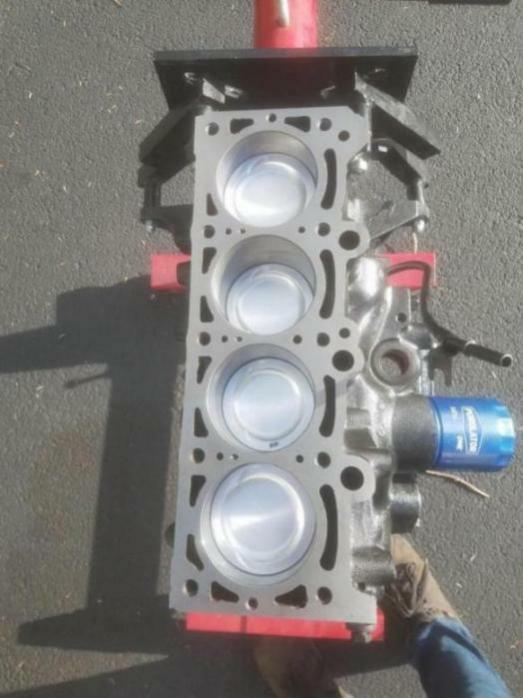 It came with a mopar performance coil, k&n drop-in air filter, and what appears to be a homemade hard pipe setup from the intercooler to the throttle body. 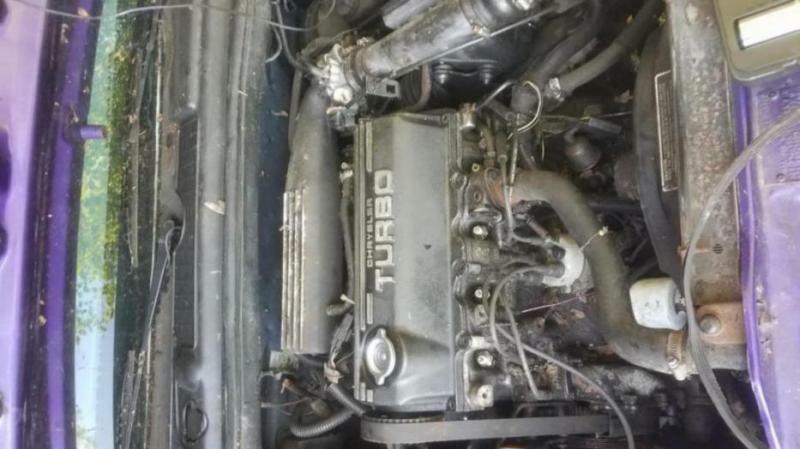 He also claimed it had a larger throttle body on it, I haven't confirmed either way yet. As for the interior, I want to go with a stock style look but rebuild it myself using the materials I have. I decided early on that I wanted to have my enthusiast seats redone in black leather. After getting quotes north of $2000 from all the local uphlostery shops I bought a set of stock leather seats on ebay for $450. Not quite as nice as aftermarket leather but much more affordable. The door panels are trash, I plan to recreate them with new materials. I'm still not sure what color/style I want to make them, as I don't want to clash with the black seats/blue interior. 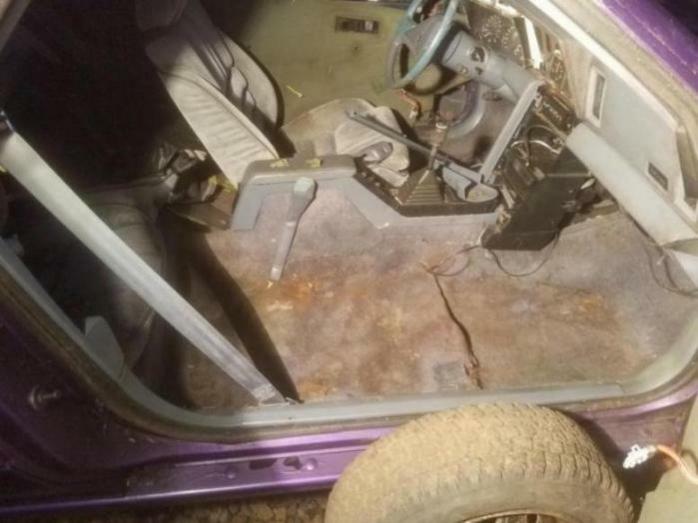 The carpet will need to be replace eventually but the rest of the interior is in decent shape save the missing stereo system. That's all I can think of right now, I plan to keep adding on to this as I work. This is more or less the work I've done to it over the last 6 months. I bought it knowing it would be a massive project to get it to where I want but I wanted another project. Hopefully this thread will help to keep me motivated. Side note as I'm uploading pictures: I found this blue paint underneath all the grit and grime. This wasn't the factory color, was it? Why would this be there? 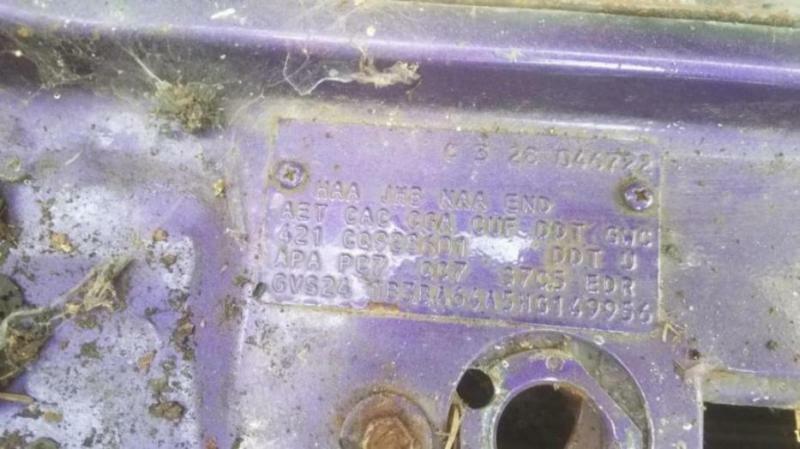 The blue paint on the engine block? Almost looks like a faded "Mopar Blue". driveway. I'm at the mercy of the weather. Hopefully yours will go quicker! Way to save a cool custom Daytona! Love the purple. Previous owner must not have liked the "Camaro" steering wheel. They've installed the premium tilt wheel from most other models. I see the headlights are permanently open. Is there goop on the carpet behind the console? Those headlight control modules loved to boil out the potting compound and it would run all the way down through the dash onto the floor. 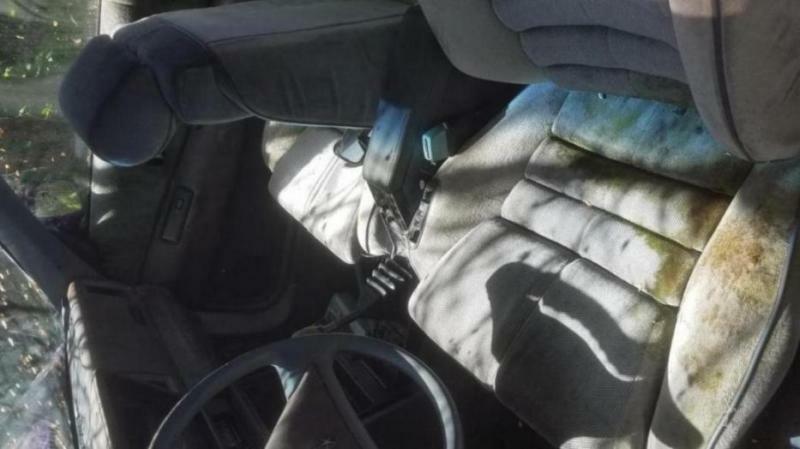 Yeah, there is goop behind the center console. I've had a hell of a time getting it cleaned up. As for the headlights, they actually work fine! Those pics are from where I found the car and then when I first got it home. After replacing the headlight switch they are perfectly happy to go up and down. 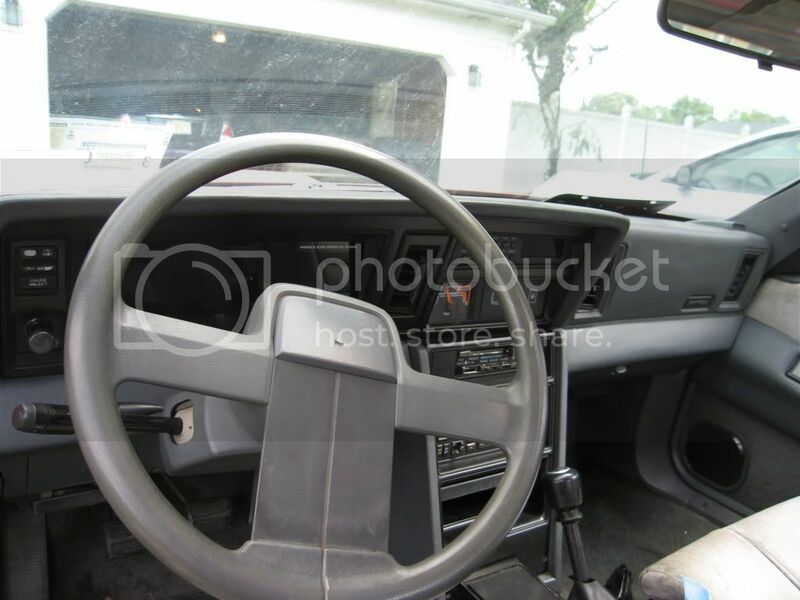 You don't think thats the original steering wheel? What steering wheel came stock on these cars? And did you say that wheel is non-tilt? Is there any size difference between wheels? I like the wheel I have okay enough but it's a bit large for me. I was going to try and resize it when I do the interior refinishing. What I meant is that the wheel in your car came in most other models if equipped with the tilt column. I don't believe there is a diameter difference unless you were to switch to an L-body wheel. I don't know if that could be done without an adapter. According to the fender tag, your Daytona has the PC7 paint code - Twilight Blue Metallic, which is actually a pretty rare paint color for the 1987 Shelby Z. Also, all Daytona motors for the 1987 model year were supposed to be painted black. 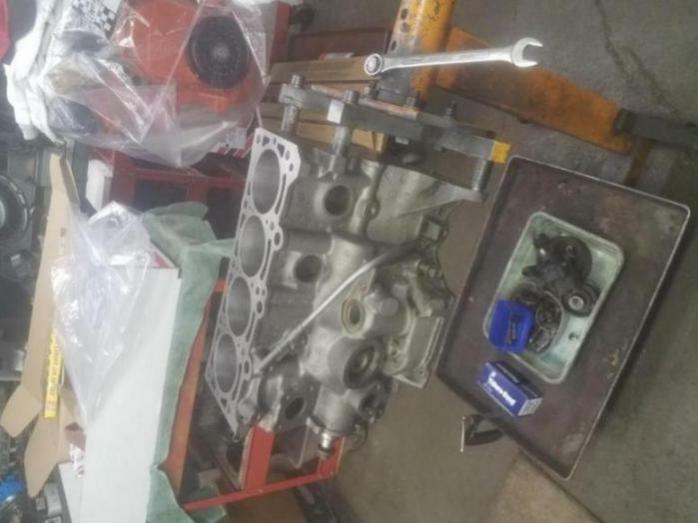 Either somebody at the factory was messing around, or that engine has been pulled out of the car and redone at some point. Being in the St. Louis area, I bump into people that worked in the Fenton plant constantly. You just never know what nonsense was going on there from day to day. Yeah, it's got a dark blue color on the inside of the doors and in the engine bay. I figured that was the stock paint. 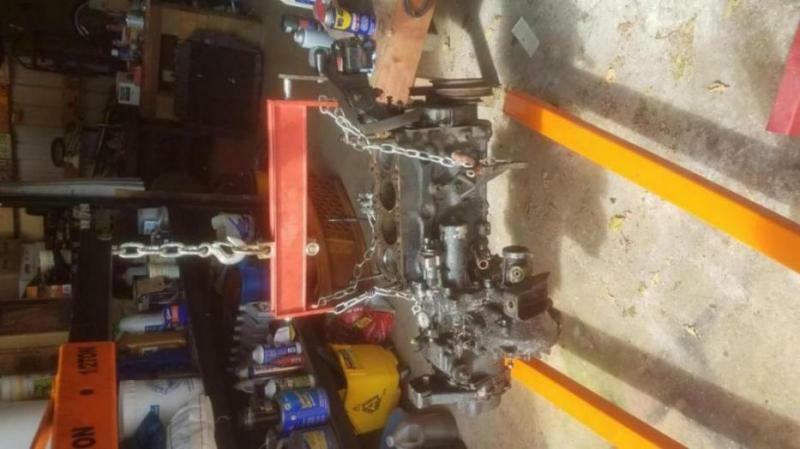 As for that engine, it really looked like original paint to me but the people I bought it from, although they had it for years and years, got it used. Who knows what happened early in it's life. Once it stops raining here in Oregon i'll get some better pictures of the car. Most of my pics are months old. This forum is great - such a wealth of information. I just need to get better at my search queries. Well, it was a sunny day today so I did a little on the daytona. 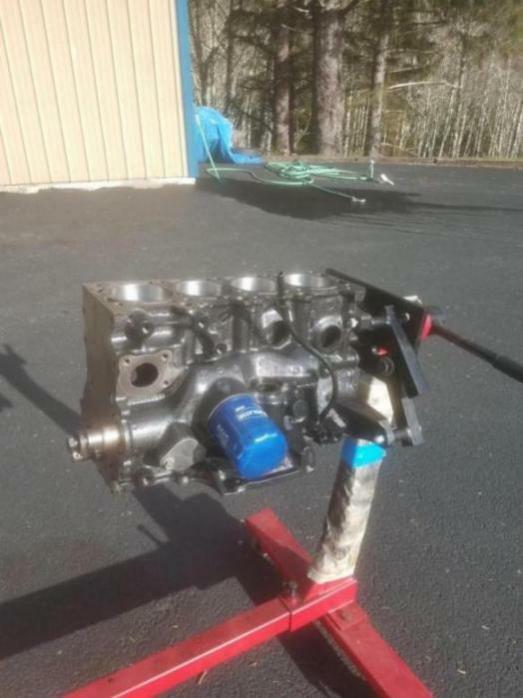 I got the block onto an engine stand and off the workbench and did a little photo shoot. I also uncovered the daytona for a few pictures and discovered, to my dismay, that the inside of the car appeared to be damp. 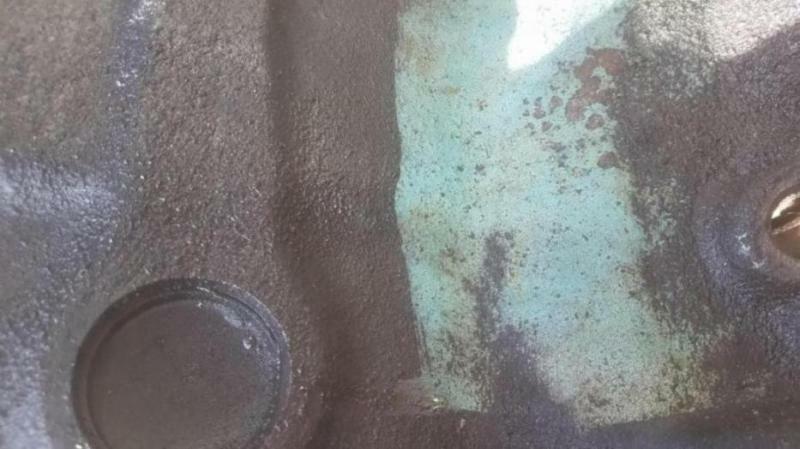 Further inspection showed a leaky t-top and very wet carpet underneath it. I spent the afternoon re-applying RTV to the leaky t-top along the glass-to-aluminum mating surface, the apparent cause of the leak. Not a perfect solution but hopefully good enough to last the winter.